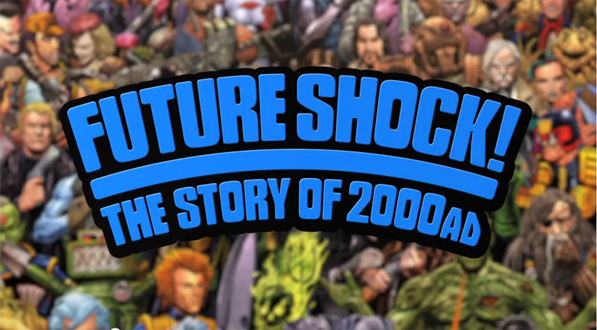 Future Shock is the name of an upcoming documentary that looks at the origins and long history of 2000AD, the seminal and influential British anthology comic. First appearing in 1977 originally intended to capitalise on the growing interest in sci-fi with the appearance of Star Wars, 2000AD was far removed from George Lucas’ clean cut space opera. 2000AD quickly established itself as being gritty, violent, edgy, anti-authoritarian, blackly comical but most of all inherently British too. The 2000AD name would also become synonymous with a host of memorable characters, completely unlike anything else in comics, the most infamous being Judge Dredd, with others including Rogue Trooper, Strontium Dog, Slaine, ABC Warriors, Nikolai Dante, Sinister Dexter, Durham Red and many more. Check out the teaser trailer which features acclaimed writers Neil Gaiman, Grant Morrison and Dan Abnett alongside former Vertigo editor Karen Berger amongst others. Beware, it also features some “adult” language.